Three small earthquakes rocked the North Bay, Salinas and Peninsula in just about eight hours. The U.S. Geological Survey reported a magnitude 3.0 aftershock in American Canyon about seven miles south of Napa on Thursday at 3:56 a.m. 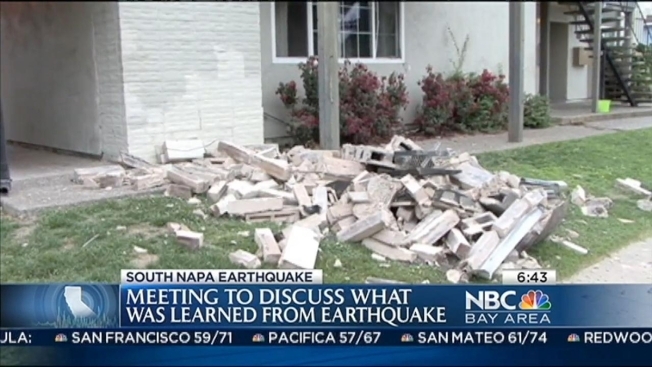 The aftershock follows a 6.1-magnitude quake that struck Napa on August 24. Then, about 4:15 a.m., a magnitude 3.0 earthquake struck Salinas. On Wednesday about 8:30 p.m., a magnitude-2.9 earthquake struck Ladera, a few miles from the Stanford University campus and downtown Palo Alto, with a depth of 2.6 miles. The shallow quake was felt by residents in the area who reported feeling a "quick jolt."